There's one West Kensington cleaning company which stands above all others in terms of quality, reliability and all-round service. That's West Kensington Cleaners. We're West Kensington's premier cleaning firm which has been helping to keep the homes and businesses of West Kensington cleaner and more hygienic for a number of years. It's not just our high standards which the residents of West Kensington love. It's our range of services and our all-round customer service. No job is too big or too small. Whether it's house cleaning, office cleaning, carpet cleaning, end of tenancy cleaning...our high quality standards never fall. Yet, we always keep our prices low. Which is why when you call us on 020 8434 7274 we can give you a free quote. You'll like what you hear and like thousands of previous satisfied customers and clients, you'll be delighted you found us right here in West Kensington. One reason we can keep our prices low is because we're a local W14 cleaning firm. This doesn't mean we are a small company however. We have the resources and the skilled cleaning personnel to clean any size of house or business. We clean mansions as well as studio flats. We clean small offices to office blocks. The reason we can do this is because we give you a tailor-made service based around your individual property and your individual requirements. So when you call phone us on 020 8434 7274, we listen to what you have to say as well as informing you of how we can help you. We have a commitment to give you the exact West Kensington cleaning service you require. Our superb cleaners, all fully vetted and fully trained, will polish, dust, wipe, mop and scrub your house till it's really looking like a home. No more will you have to put hours aside for the time consuming and energy consuming house cleaning. With one phone call, it's all done for you. Likewise, for your business, our W8 office cleaning service and our W14 commercial cleaning service gives you cleaners you can rely on. With our years of experience, we know reliability is such an essential quality you're looking for in your office cleaning staff. We give you those employees who are also trained in how to clean specific office furniture and how to clean within a working environment. We cause less disruption so you don't lose any productivity. We can also be the key-holders for you. We're already the number one choice for many businesses in West Kensington and because we can give you this service at such an affordable price, you'll never go over budget. For homes and businesses we also have fantastic specialist services such as our carpet cleaning service. Our expert carpet cleaners W14, use the latest carpet cleaning techniques along with environmentally friendly products to bring your carpet back to life. It can also be helpful in terms of hygiene, hindering possible allergens hidden within the fibres of your carpet. With our caring but thorough cleaning methods, you'll have a carpet again which not only looks great but is deep cleaned. Our upholstery cleaning service is also very popular in West Kensington. Whether it's for sofa cleaning or other upholstered furniture, we uplift the in-grained dirt which in turn revitalises your furniture. We also have other services such as oven cleaning, end of tenancy cleaning or after builders cleaning. So call West Kensington Cleaners today on 020 8434 7274 and see how we can help you. We're the West Kensington cleaners who deliver a better class of W8 cleaning service. The superb cleaning service you expect and deserve. Company name: West Kensington Cleaners. 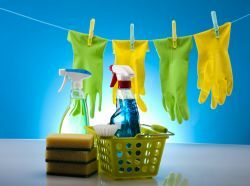 Description: We at West Kensington cleaning company proudly say that we can cover any cleaning service W8 you may need – from carpet cleaning W14 to domestic cleaning.